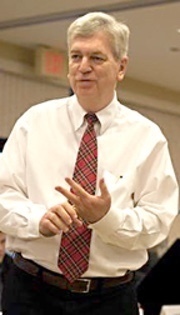 This newsletter was sent to Jim’s email list (4,020) on Friday, Oct. 13, 2017. October has turned into a very busy month. A couple of organizations have asked me for watercolors for fund-raising auctions (see last week’s newsletter), and I have begun clearing some fence-rows on our farm. Then there’s the baseball playoffs and World Series. As usual, there’s never as much time as I would like for reading and writing. Don’t forget the victims of Hurricanes Harvey, Irma, Maria, and now Nate. The people affected directly by these disasters need our help.. The United Methodist Committee on Relief (UMCOR.org) is my favorite charity. Please make a contribution to yours. Most of my reading time over the past couple of weeks has been taken up by two very different books. One of those is the first volume of the great Shelby Foote trilogy on the American Civil War: Fort Sumter to Perryville. 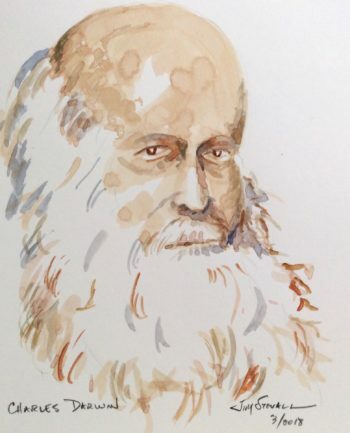 Foote uses his fiction writer’s skill in constructing the events of 1861 and 1862 into a compelling narrative rich with details and characters. Foote’s trilogy is a must for anyone who wants to be well-read about the Civil War. 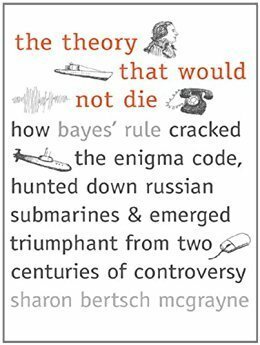 The other is Sharon Bertsch McGrayne’s The Theory That Would Not Die: How Bayes’ Rule Cracked the Enigma Code, Hunted Down Russian Submaries, and Emerged Triumphant from Two Centuries of Controversy. Bayes’ Rule is a mathematical process for finding solutions to problems. It’s a relatively simple concept but has been wildly controversial. This book traces the history of this important process and the controversies surrounding it. It reads like a thriller novel — a real page-turner. Every chapter tells a new story about the triumph of Bayes’ Rule in World War II, medical science, insurance actuarial calculations (very exciting! ), and the Cold War, among many other topics. Both books have led to less sleep than I should have had this week. I opened up the topic of the First Amendment, hate speech, and free expression with this picture in last week’s newsletter. 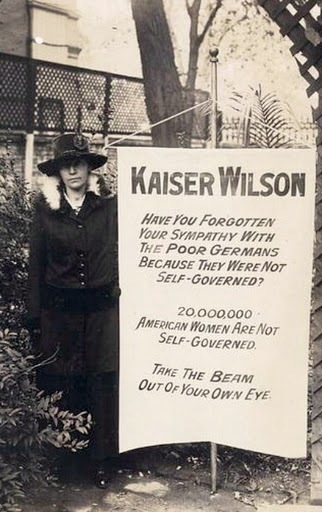 The photo shows Virginia Arnold, a suffragist who stood in front of the White House with a banner that was headlined “Kaiser Wilson” in August 1917. The nation was at war with Germany at the time, and it’s likely Arnold’s banner would have been termed “hate speech” if we had used those terms. Concetta: No matter what the content, people have a right to be heard. Having “safe places” for “children” who have never done anything to improve the divisiveness we are experiencing in this country is a travesty. To stop people from free speech especially with the violence being used is killing this country. It’s time to enforce this freedom. No one is forced to listen to something they don’t like but they don’t have the right to stop others from speaking or listening to it. The only speech that should be prohibited is that which incites people to riot. While we have laws against this we don’t enforce them. A.J. : I am in favor of free speech, no matter what the topic, BUT I am also angry that ANYONE is given publicity and any kind of public support, when they disrespect our flag. If some NFL players don’t want to stand and be silent and put a hand over their heart when the National Anthem is played, then the TV cameras should be turned AWAY from them and their disrespectful actions should be IGNORED. . . . If I owned an athletic team, I would trade or sell any player who did not follow MY rules, and one of my rules would be to respect the flag. Jill Lepore’s short and excellent article in the New Yorker magazine on the recent history of free expression in American is good reading to begin thinking about this topic. Any thoughts of free expression, First Amendment values, “hate speech,” or related issues? I would enjoy hearing from you. I mentioned this last week, and it’s worth repeating. 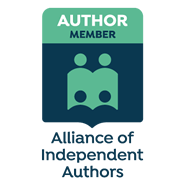 Blount County, Tennessee, has an exceptionally good library that has sponsored and nurtured a group of amateur writers from the area and helped them tell the stories they want to tell. 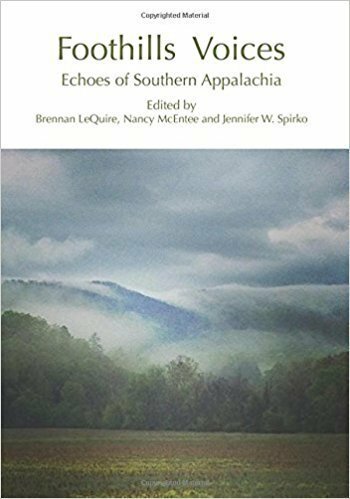 The result is Foothills Voices: Echoes of Southern Appalachia that is now on sale on Amazon. Some friends and I had a small hand in this project in that we read some of the drafts and met with the writers as they were putting together their stories. Appalachian culture seems to be popular these days. Here’s a chance to find out something about the real thing. 5-star review: I thoroughly enjoyed this book. It held my attention, and the plot unfolded bit by bit, keeping me guessing about what was coming next throughout nearly the entire novel. There were some surprises. My first surprise was that protagonist of the story is a teenage girl. How in the world could the author, a middle-aged man, possibly present a believable character, having never bee a teenage girl himself? Again I was surprised – he nailed it. Granted, Max Wayman is not your typical teenage girl, but I could relate to her nonetheless because she is something like I had been as a teenage girl. I could readily identify with her struggle to succeed in a society that valued boys over girls. 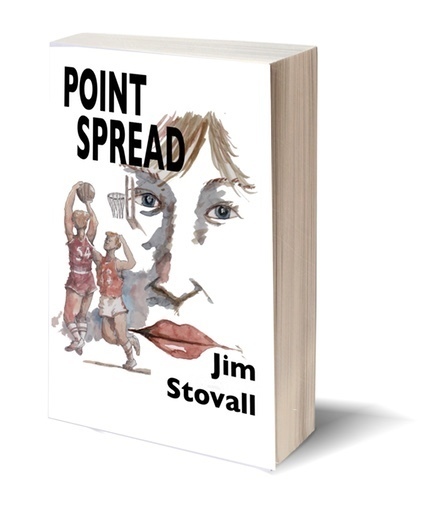 I also enjoyed learning right along with Max about what a point spread is and what it means for a team to shave points. The colorful, interesting, and even eccentric, characters Max interacted with made the story seem almost as if it could really happen. Well done, Mr. Stovall. 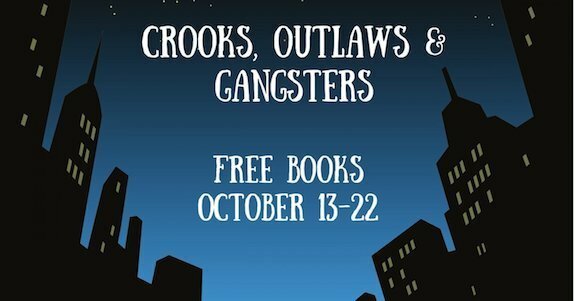 4-star review: This book was like watching an old 1940’s film noir detective movie, which I love to watch. It is written in the 1st person and gives lots of details as to what the main character is thinking. It has a very good story line and one that is actually plausible considering the way things are in this crazy world. However I did feel that it was rather long. In my humble opinion, some of it could have been left out and still had a great story. It took a long time to get to the actual meat of the story. I actually read 2 other books while reading this one because it took so long to get to there.